Hey Guys, Jerm here with another HISTeria event update for this weekend! Remember, we&apos;re gonna bring you tidbits about this event each day this week, so make sure you stay tuned in so your in the know! How many of you like good food! Well if you are like me, then you can&apos;t get enough of it, which is one of the many reasons you should make your way to the Tampa Bay History Center this weekend. Not sure which of those I can tell you to look forward the most, as all of them are great places to grab a bite (or in my case a few bites) to eat! 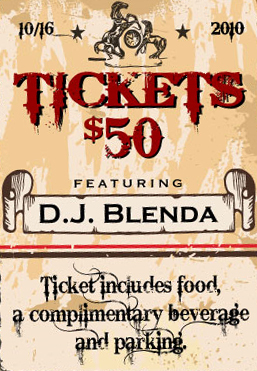 Okay folks, so if you haven&apos;t gotten your tickets yet, be sure to head over to the HISTeria website and purchase! That&apos;s all for now from Jerm, but stay tuned in later this week for more updates on this and other Tampa Bay area events!